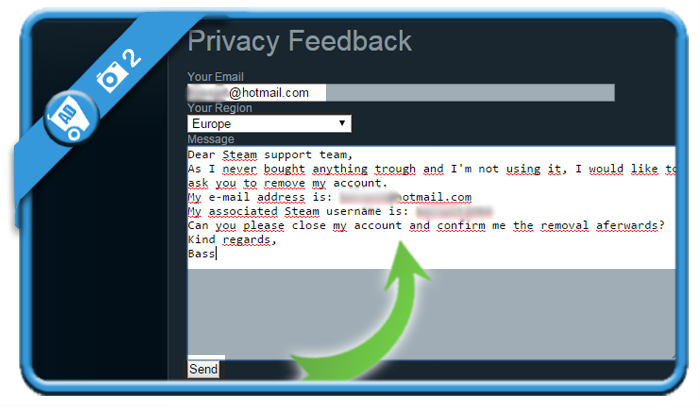 Do you want to close your Steam account? Well honestly: We’ve been checking all pages of the sites and while we were in the support pages, we understood why we couldn’t find a Delete button: It’s impossible to remove a Steam account, even not on written request to the support team. As I never bought anything trough and I’m not using it, I would like to ask you to remove my account. Can you please close my account and confirm me the removal aferwards? To do this on a Windows pc, go to: Start > Control panel > [Select Steam in the list] > Uninstall program. 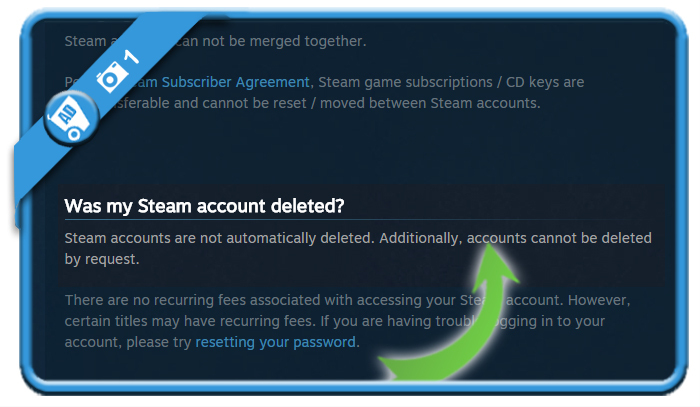 never came, just like we expected and had read in the support pages: It’s not possible to have your Steam account removed, even not when there are no downloads or bought items linked to your account. The Steam software is removed from your computer (as in step 3). Your account still exists somewhere in the cloud, but just leave it the way it is and move on with your life, accepting that it’s not possible to have it closed.